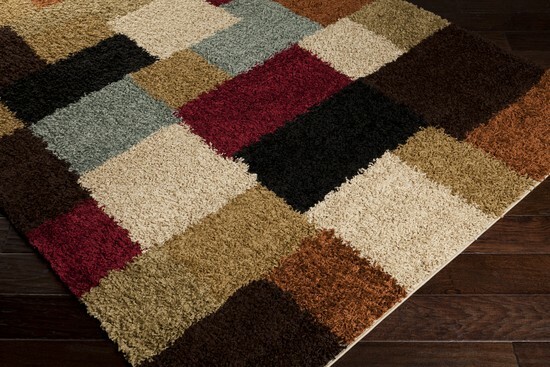 This shag rug is full of fun and color. 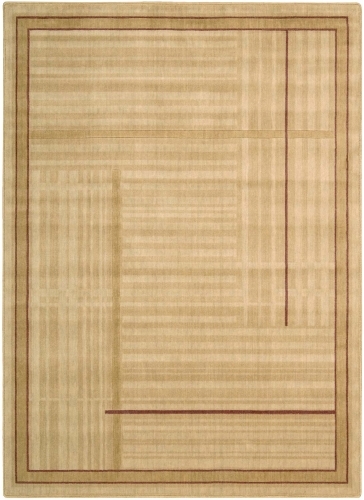 Machine made in 100% polypropylene in Turkey, this rug is soft to the touch. 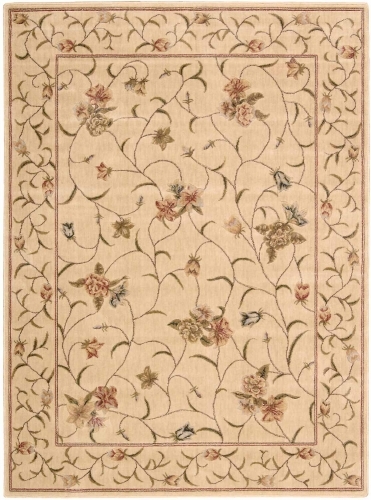 It's geometric design is accented by the colors brown, beige, cream, sky blue, black, rust, and burgundy.